Nandan Nilekani -- a former chief executive officer of Infosys and architect of Aadhar scheme under UIDAI -- and his wife Rohini have made a gift of Rs 50 crore ($11 million) to the Indian Institute for Human Settlements to fund establishment of its School of Environment and Sustainability. "IIHS is at the convergence of both our interests in education, urbanisation and sustainability. We are excited about contributing to an institution which will help people engage with new challenges in an innovative and inter-disciplinary manner," they said in a joint letter. 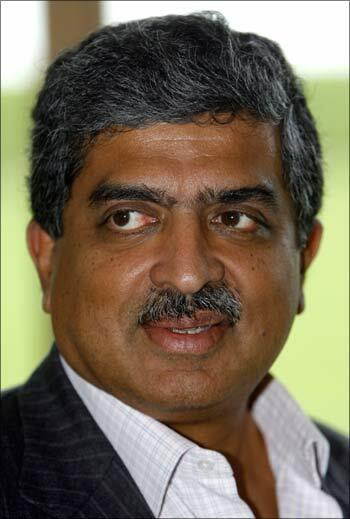 Image: Nandan Nilekani, chairman, UIDAI and co-founder of Infosys. The IIHS board and its director, Aromar Revi, said Rohini and Nandan Nilekani's support to IIHS's School of Environment and Sustainability is in the spirit that created some of India's greatest universities almost a century ago. This is a major step in a Rs 300 crore ($67 million) IIHS resource mobilisation campaign to fund five inter-disciplinary schools, one of South Asia's largest reference and digital libraries and other facilities for its Bengaluru campus. 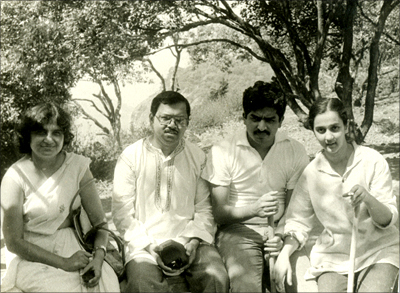 Image: (Left to right) Sudha Murthy, N R Narayana Murthy, Nandan Nilekani and Rohini Nilekani. 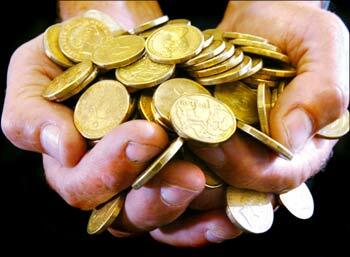 An additional Rs 100 crore ($22 million) would be raised for chair professorships. The IIHS is nurtured and led by a group of eminent Indians including Xerxes Desai, Jamshyd Godrej, Cyrus Guzder, Renana Jhabvala, Vijay Kelkar, Keshub Mahindra, Nandan Nilekani, Nasser Munjee, Deepak Parekh, Shirish Patel and Deepak Satwalekar. Organised around five inter-disciplinary schools, IIHS would host multiple programmes of campus-based education and research, practical training for working professionals, distance and blended learning as well as advisory services.